The 2012 Silverstone Classic powered by the AA will showcase an even greater spectrum of motor sport history following confirmation today (Thursday 12 January) that two exciting new races will be adding to this summer’s on-track action. With more than 1100 of the world’s finest classic competition cars entering a remarkable mix of the superb races on Grand Prix circuit, last year’s Silverstone Classic was the biggest motor sport event ever staged on earth. Now the introduction of two new grids will broaden the festival’s appeal still further with special showdowns for super touring cars and evocative F5000 and F2 single-seaters lining up alongside established crowd favourites such Group C sports prototypes and DFV-powered F1 cars. The popularity of touring car racing has spiralled in recent decades and this year’s Silverstone Classic will feature two unique races – one on Saturday and one on Sunday – starring many of the famous cars that have fuelled this escalating appeal. The line-up will include the cream of front-runners from European, British and German Touring Car Championships spanning the years from 1975 to 1999. The result will be a spectacular entry celebrating Group 2, Group A, Super Touring and DTM eras including Jaguar XJ-Cs, BMW CSLs, Ford Sierra Cosworths and Rover SD1s alongside a more modern generation of BTCC classics from the Nineties such as the Nissan Primera and Ford Mondeo. It will be the first time in history that such a comprehensive display of modern touring car classics has raced together and is certain to be an instant success with owners, enthusiasts and fans. More than 30 cars have already entered this pace-setting double-header with a near capacity grid of more than 50 machines expected in total. 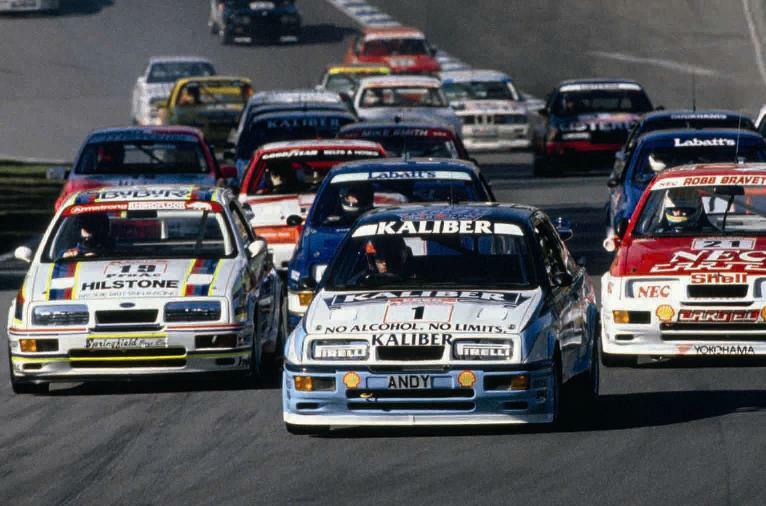 As well as highlighting a golden generation in touring car history, the pioneering races will put a special spotlight on the evocative Sierra RS500 Cosworth, which turns 25 this year. When launched in August 1987, the iconic turbocharged winged Ford caused a sensation both on an off the track. The ground-breaking RS500 not only won countless national and international race and rally titles but also helped to rewrite the road car rulebook by offering supercar levels of performance for little more than the price of a standard Sierra model. 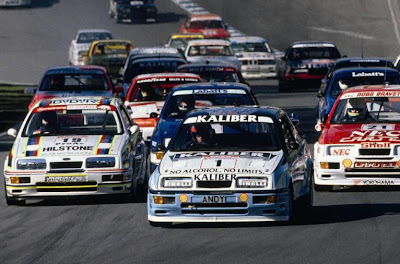 Several RS500s are already on the provisional entry list and more are expected to join the milestone Silver Anniversary celebrations. 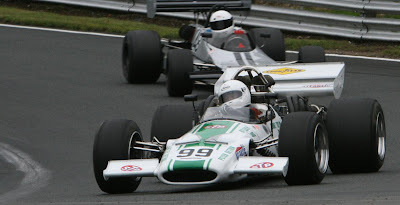 Thunderous F5000 cars set to entertain! The second new race – announced today on the Silverstone Classic powered by the AA display stand at the Autosport International Show inside Birmingham’s NEC – is for Formula 5000 and Formula 2 single-seaters built and raced between 1967 and 1979. Both formulae were hugely popular in the Sixties and Seventies, enhanced by regular appearances from F1 stars. Back then F2 grids regularly fielded many of the top F1 drivers – Graham Hill, Jochen Rindt, Niki Lauda, Ronnie Peterson, James Hunt plus a host of others – when their Grand Prix commitments allowed. Once again a close to capacity grid is anticipated with plenty of entertainment guaranteed as the fastest of the nimble F2 cars battle with the thundering American V8-engined F5000s. On top of the record-breaking on-track action, the Silverstone Classic offers a wealth of other infield attractions. In excess of 7000 classic cars will be displayed by more than 120 car clubs, many marking significant anniversaries. This year’s standout tributes include 50th birthday parties for a number famous British sportscars including the AC Cobra, Lotus Elan, MGB and Triumph Spitfire. Adding to the ‘Rocking and Racing’ festival atmosphere, live music shows on Friday and Saturday evenings will see classic pop and rock bands strutting their stuff with Adam Ant as well as Mike and the Mechanics topping the 2012 bill.